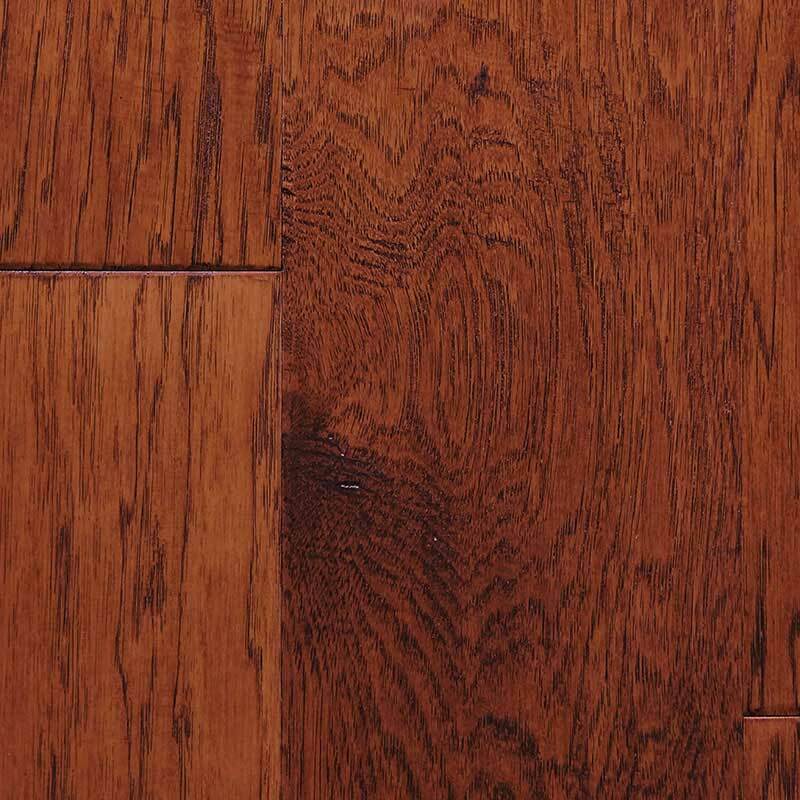 Accent your living space with this rich, medium-tone hickory wood flooring. Why hickory? Hickory is renowned for its hardness, durability and shock resistance. It is an ideal wood to install in homes with heavier foot traffic and areas such as hallways, foyers and kitchens. Each plank comes finished with a protective aluminum oxide urethane coating, making an already strong wood even more long-wearing. Pre-finished wood gives you the convenience of being able to enjoy it soon after it is installed; it cuts out the step of having to have it sealed in your home after installation. This is typically a multi-step process that can take days. A beautiful hand scraping technique has been used to give the wood a subtle distressed look.